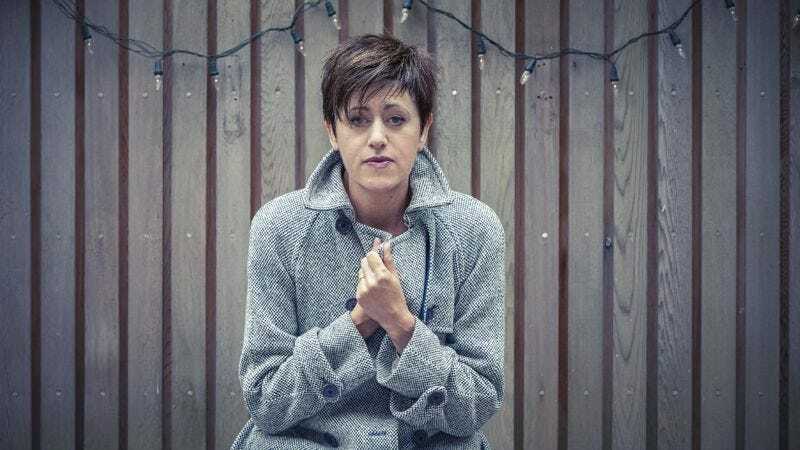 The mixer: As one-half of the lounge-pop act Everything But The Girl, Tracey Thorn set the mood for countless dinners, dates, and chill nights in the ’80s and ’90s. The band’s biggest hit, 1995’s “Missing,” landed toward the top of the Billboard charts with the help of remixer Todd Terry, who kicked up the song’s tempo and club-readiness just a bit. EBTG has been on extended hiatus since 2000, though, and Thorn has been making solo records, including the new Tinsel And Lights, a holiday record out now on Merge. With Christmas so close and Thorn so familiar with light, icy tracks, it seemed only appropriate to ask her to make The A.V. Club a mix of her favorite wintery cuts. Tracey Thorn: This is probably the most Christmas-y one on the whole list. Some of these were ones that—when I was compiling the songs to fit my album—some of these were on the original list that didn’t quite make it when it came to it. I think with this one, it’s an amazing track, but it’s such a beautiful arrangement I just couldn’t think of a way to do it any differently. So, we were working on it a little bit and I thought, “I’m just really trying to copy the original,” and that’s never what you want to be doing, so that’s why it didn’t make it. TT: You have to be able to take it somewhere different, or it’s just not worth doing, really. TT: I always think of that song alongside Joni Mitchell’s “River,” which I did end up doing. They’re both Canadian songwriters, and I often have this idea that they both grew up with this idea of skating on rivers, which is something I didn’t know anything about. Jane Siberry actually talks about playing hockey on the frozen river and it’s such an unfamiliar idea to me, growing up in the U.K. where it just rains. [Laughs.] We don’t have lovely things like frozen rivers. But it’s an amazing song. It’s very filmic, really. It really creates a vivid scene in your mind that you can visualize. AVC: This is the first song on the mix that that uses jingle bells, but quite a few of these songs—and holiday songs in general—use jingle bells. Do you have jingle bells on your record? Did you feel pressure to use them? TT: I think it’s the key instrument when you are recording anything Christmas-y. And we had a big question with ourselves all the time. How many bells should we put on? Is this enough bells? Is this too many bells? So there are jingle bells on my record, but used quite sparingly. And we just hope in the end when they do make their appearance, they’ll really count. AVC: Quite a few songs on this mix are dark, lonely Christmas songs. TT: I think that’s right. There is that sort of that melancholy undertone to wintry, Christmas-y songs. And it’s often a question of getting the balance right. When I was choosing songs for this record, I did realize after a while that a lot of the songs on the list I’ve made were quite dark. “Winter Kills” is a great track, but it is very dark. Again, I tried to keep the balance steady so it didn’t tip too far in one direction. But I mean “Winter Kills” is an amazing track and again, it’s quite atmospheric. It’s very hard to cover it in that you don’t want to just copy it exactly. AVC: Why do you think a lot of Christmas songs are dark? Is it about loneliness or is it about offering a counterbalance to all the cheery songs? TT: I think it’s a mixture. You can write a melancholy Christmas song and it gives you a brilliant sense of contrast straight away, because the expectation is that everyone is meant to be happy. So you can immediately set up a good juxtaposition by writing something sad. I suppose with a lot of other songs just by using the imagery of winter, you’re inevitably using that to describe something sad. Perhaps you’re just calling upon the images of coldness and snow and winter to sort of dramatize the story you’re telling in a sad way. TT: I think this is almost the bleakest one in the mix. I do really love it, but I remember sitting and listening to it with Ewan [Pearson], who produced my record, and we almost lost it at the end of it. It’s so suicidally miserable [Laughs.] that perhaps it’s going to tip the whole record over too far the other way. But I love that it’s such a melodramatic song. She decided, “I’m just going to write this story and go for it in every single way.” There are no holds barred at all. TT: That’s a gorgeous track. I love their Christmas record. I think they did really well creating something unusual and not corny Christmas-y. They managed—with this track especially—to really capture that sound beautifully and make a properly Christmas-y sounding track, but with some real character to it. And that’s quite difficult, to actually make something sound distinctive and sound like your own, but people immediately say, “Oh, that sounds really Christmas-y, too.” So, I think that’s really well-achieved on this track. AVC: They did a Christmas tour a few years ago, and it was a nice new way to get ready for the holidays that didn’t involve seeing The Nutcracker or A Christmas Carol for the hundredth time. TT: That’s what we all want, I think: new ways to feel Christmas-y. TT: I think that’s a lovely one. There’s something almost ancient-sounding about them when they sing their harmonies. It’s got that lovely, medieval quality, almost like carols. There’s something about vocal harmonies that evokes Christmas music, because you think about choirs singing. I think this one is lovely when all the vocals kind of build up on it. Again, though, it’s quite difficult to re-create, because it’s the sound of their voices that suit this kind of arrangement really beautifully. TT: That’s a song that’s very much my background. I grew up listening to Aztec Camera; I loved them. And this is one of their hits, so it’s the point when they became a bit more successful. But I think anyone about my age, if you asked them to compile a list of winter songs, they’d stick “Walk Out To Winter” on it. It’s very evocative of that period. TT: When I first started talking to Ewan Pearson about doing a Christmas record, this was the first one we put on our list, although we agreed almost immediately that it’d be very difficult to do. There’s a great contrast from the actual sound of the track—which is quite driving and dance-floor-y—but then the actual lyrics are incredibly dark and the story being told is a very bleak Christmas tale. Her vocal delivery is quite difficult to capture, too. It has to be done in that sort of icy, spoken vocal, which is very difficult to re-create. I think she’s probably done the only version of it that would work. AVC: When you were putting your record together, how did you decide what to include? TT: I did have a list. As you can probably tell from what I’m saying, often you pick songs that you like and then you just have a go at doing them to see whether you can do a performance that you think is convincing or that brings something different to it. Often you just don’t know until you have a try what’s going to work. Some songs suit your voice, some songs are in your range, and so you feel comfortable with them. Other songs, as soon as you try them you think, “Hmm, I’m not adding anything to this,” or “I’m not doing it justice.” So the decision almost makes itself as you go along. You can just tell which ones fit. TT: Lovely guitar playing. This kind of thing this is tricky for me, because I can’t do that lovely sort of picked acoustic-guitar playing. So, again, I just sat back and thought, “I’ll leave that to Fionn.” He plays that beautifully, I think. He’s really good at that sort of guitar style. AVC: This is a pretty bleak one, too: “My jumper is soaked in pig’s blood”? TT: [Laughs.] You’re right. People do go dark with their wintery Christmas songs. It just brings that out in people. TT: I’ve done another of his songs on the record, and it was a choice between that and “Snow Angel.” “Snow Angel” is a sadder song than the one I chose. For balance, I opted for the other one, just to just keep things in harmony so the record doesn’t get too dark. But I think “Snow Angel” is a good track. It’s got that sort of sad-storytelling thing that he does really well. TT: This is from a film, isn’t it? It’s on the About A Boy film soundtrack. But yeah, it’s quite Christmas-y in the secular tradition, that big wall of sound. Maybe because we’ve grown up with secular records, we associate that with sounding Christmas-y as well. AVC: That wall of sound evokes a kind of Christmas lushness, like you’re warm and by the fire and full of food. TT: It’s a lovely, sort of rolling song. That piano part just rolls along really well. I love the “When are you going to make up your mind?” part. I think that’s the real hook for me. It’s one of those ones that’s got these lovely, long rolling verses, but it comes down to this really simple, quite direct line, “When are you going to make up your mind?” I came close to doing this on the record, but at the end I thought, “I’m not adding anything to it.” It was quite difficult to make it different from her performance. I think her version is quite simple, her piano/vocal arrangement stuff. AVC: There is also a danger of making it too complicated. TT: Yeah, I didn’t want to make it stuffy just for the sake of doing something different. I think her version just says it really. TT: I think this is my absolute favorite Christmas song of all time. It would be No. 1 on my list. AVC: A lot of people really dislike this song. TT: It’s probably one of those records that divides people, then. I absolutely adore it. There isn’t a time that it comes on the radio that I don’t just stop what I’m doing to go, “I love this record!” And I really wanted to do it on my record, but I just immediately thought there is nothing I could do that is better than the original. You could do a sort of indie version, where you strip everything off and do it really simple, but I thought that would be disrespectful to the original. And the last thing I wanted was for people to think I was being ironic and clever saying, “Listen to me doing this funny Wham! song.” So in the end, I thought, “No, I don’t want people to think I was trying to be cleverer than the original.” Because I really do think it’s an absolutely gorgeous record. AVC: Why did you decide to do a Christmas record? TT: It’s just one of those things. As you can tell I’ve always liked these kinds of songs. I’ve often wished when it comes around to Christmas that I had a Christmas record coming out, and by then it’s too late. This year I just got myself very organized at the beginning of the year and was determined to do it. There’s something nice about having that thematic unity handed to you on a plate once you decide you’re doing a Christmas or winter record. You’re immediately very focused on what songs you can choose and how they all hang together. Sometimes with records, that’s the difficult part: coming up with your theme. What’s the story of the record? How do these songs fit together? So in a way, it made the project quite easy. Once you’ve got the theme, then you’ve just got to choose the songs to fit it. I found that really enjoyable, actually. AVC: Do you think Christmas records are a bigger deal in the U.K. than in the U.S.? Based solely on Love Actually, it seems like the U.K. takes Christmas singles slightly more seriously than we do in the U.S.